Google.com provides a goldmine of avenues for discovering historical information about your family and its ancestry. 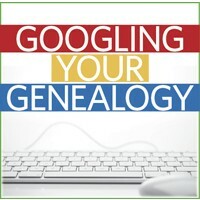 Join us as James Tanner gives an overview of what Google's search engines and its apps can do to help you in your family research. All of these resources are available at no charge to anyone who has a Google account, even if it's only a Gmail address. This video will help you to know how to use these wonderful options.